When a hail storm hits, avoiding the damage is nearly impossible. But repairing the hail damage is quick and easy with Dent Wizard’s hail damage repair process. Dent Wizard is the leading provider of hail damage repair an​d the world leader in Paintless Dent Repair (PDR). With over 30 years of experience in hail damage repair, Dent Wizard technicians are able to provide high-quality hail repair for vehicles. We specialize in repairing vehicles that have been struck with hail. If your vehicle has been damaged by hail you can rest assured knowing that Dent Wizard has the experience and technology to get your vehicle back to its pre-damaged condition. Your satisfaction is 100% guaranteed and comes with a written limited lifetime warranty. Restore your vehicle to its original factory condition following the recent storm with hail damage repair by Dent Wizard. Highly trained technicians. Dent Wizard Technicians receive ongoing training that allows them to use the latest innovative methods in vehicle hail damage repair. Find a Dent Wizard location near you for Hail Damage Repair by calling 1-800-969-HAIL (1-800-969-4245) today. To combat the aftereffects of a hail storm, Dent Wizard has a large and experience hail catastrophe team ready to restore large quantities of hail damaged vehicles to their pre-storm condition. Learn more about our Catastrophe Response team today. 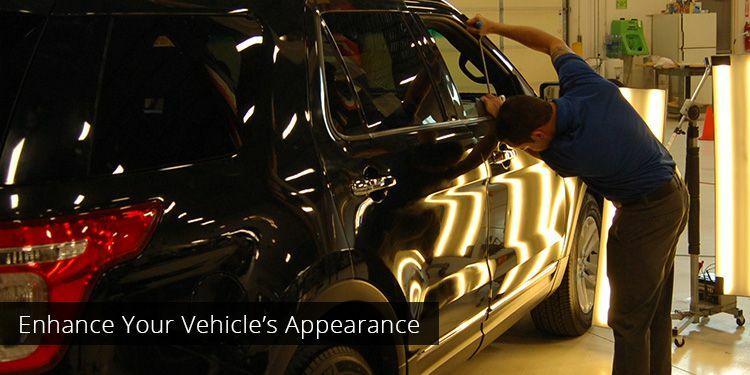 Dent Wizard provides on-site repair to body shops for hail damage. Free up your technicians to focus on bigger jobs and let Dent Wizard take care of hail damage. Contact a Dent Wizard representative today to learn more about Hail Damage Repair for Body Shops. Our Catastrophe Response team is highly trained in estimation and high-quality repairs following hail storms and can repair your customer’s vehicles quickly and efficiently. Contact us today. I've Been Hit with Hail Damage - Now What? Restoring your vehicle to pre-storm condition is easier than you expect. Learn about what to do after you’ve been hit and contact Dent Wizard to get back on the road damage-free today. Dent Wizard’s Hail Damage Repair and Catastrophe Response teams can quickly and effectively repair vehicles on your lot to make your inventory Frontline fast again. Are you dealing with large-scale hail damage? Contact our Hail Response Team today.